The nose is enriched with blood supply which helps to keep the inhaled air moist and warm throughout its transportation to the lungs. Nose bleeding mostly happens to children and young adults. 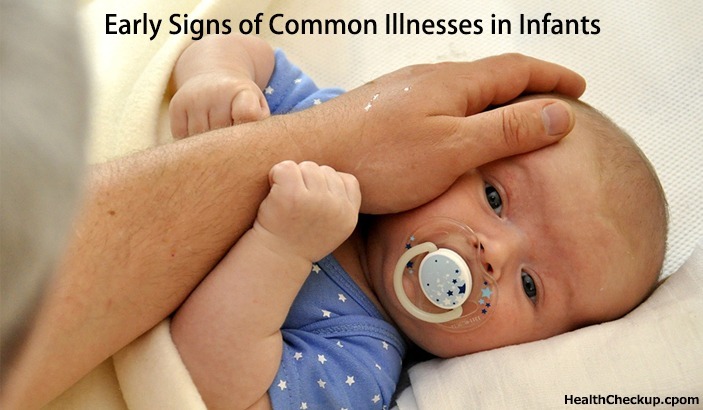 It is mainly caused by a drying nose, trauma, and infections. Cases of trauma that causes nose bleeding include heavy sneezing, excessive blowing, nose picking, hard coughing or vigorous activities. Persistent cases of nose bleeding should not be taken lightly. Considering a nasal cauterization is vital. However, one should first understand what it entails and the side effects of nose cauterization. Nose cauterization is a treatment to curb nosebleeds. It is a painless, fast and effective approach that deals with repeated cases of nose bleeding. Nose cauterization is performed to stop bleeding, close amputation wounds and fight infections. The excessive bleeding occurs from a vein or an artery located at the nose tip. Chemical swab where caustic agents like silver nitrate stick are used. The chemical reactions seal the blood tissues. Administering of local anaesthetic where it is applied to the nose using cotton wool that is packed into the nostril to nub it and prevent the occurrence of any pain. Cauterization is done when the nose is numb. 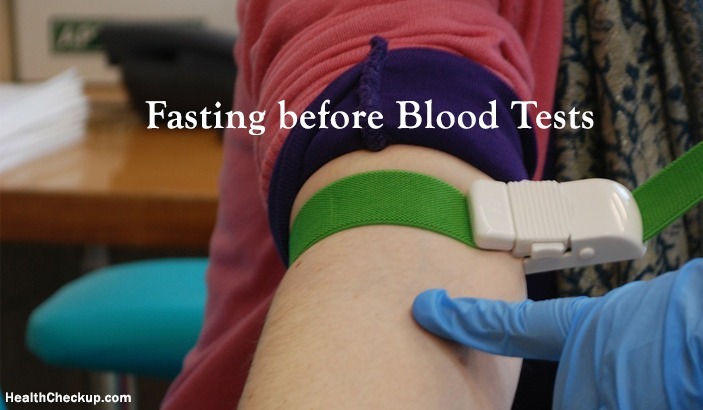 The doctor either using the chemical swab or the electric current method to seal the blood tissues. The emitted heat allows the bloodvessels to melt as well as fuse together. The process allows sealing of the rapture which stops the nose bleeding. In the first 3-5 days of the nasal cauterization healing time, one may feel some pain and itching in the nose. The given pain medicines will help to reduce the pain. Picking, scratching or touching the nose may lead to more nosebleeds. Does Getting a Nose Cauterization Hurt? Nose cauterization is not a painful procedure as the patient is put under a local anesthesia. It allows the patient to sleep as well as get numb. A breathing tube is placed in their nose once asleep which helps to decongest the nose. The doctor is able to examine the lining of the nose and determine the primary cause of the nosebleeds. With the information, the physician uses the ant of the cauterization method to seal the blood tissues. It is a painless and an effective method. The side effects of nose cauterization differ. People have different experiences when it comes to nose cauterization. The throat can turn out to be painful sore and dry after the procedure. Some people experience sinus pains and pressure in the gums and the teeth. One may experience a runny nose after cauterization. However, blowing the nose might be fatal thus the recommendation of gently wiping the nostrils to avoid further nosebleeds. A runny nose after the cauterization procedure might be caused by an allergic reaction. It can be wise to use allergy medicine you have used in the past for this purpose. Slight seepage of blood spots are the most common complications that come with nose cauterization. It is bound to go away within the first two days. If that does not happen, further cauterization may be needed to take place to completely seal the blood tissues. Movements and heavy activities increase the pain after cauterization thus the need to keep calm and partake in less vigorous activities until one is fully healed. Sometimes it becomes hard to breathe through the nose due to fully packed stuffy substances in the nostrils that occur after cauterization. The following are the dos and don’ts after nose cauterization has taken place. During the first two to three hours of the procedure, one should avoid bending, lifting heavy materials and carrying out heavy exercises or activities. Use the nasal spray or antibacterial ointment for the next ten days after the procedure as it helps moisture the nose. In cases where nose bleeds after cauterization occur, one can keep the blood from going down the throat by sitting up and tilting the head slightly forward. Using the thumb and the index finger to pinch the nose shut for around ten minutes helps in stopping the nosebleeds. It is vital to undergo nose cauterization as a way of treating persistent nosebleeds. 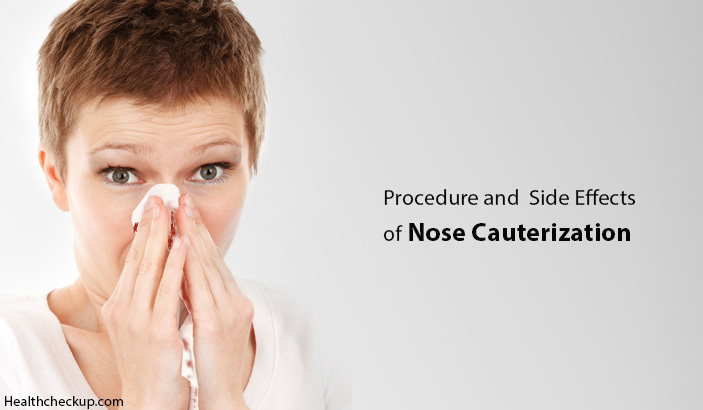 The process is simple and the side effects of nose cauterization are mild and go away within a few days. Most people who have undergone the procedure have fewer experiences in the nosebleeds escapades while most of them are fully healed and no longer experiences them. Following up the doctor’s instructions and taking the recommended medicines is a great approach to ensure healing takes place efficiently. 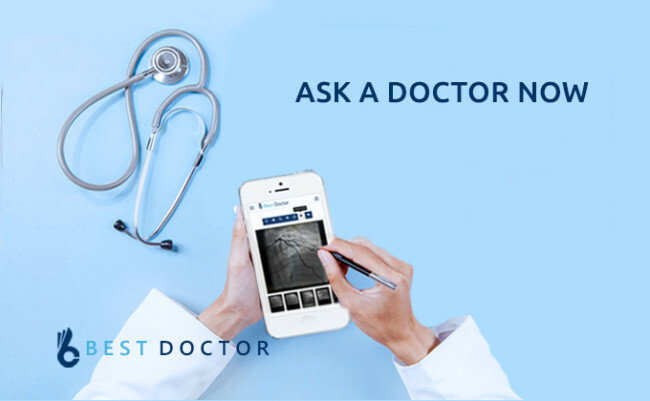 In case of continued side effects or bleedings, it is essential to follow up with the doctor to determine where the problem lies. What Is Uncontrollable and Unexplained Itching All Over Body?